As diplomatic ritual goes, a family meal to entertain a visiting first couple indicates mutual trust. That was the case during the visit of President Xi Jinping and first lady Peng Liyuan to Mongolia. President Xi Jinping has promised more development and less tension with its neighbors in a speech in Mongolia on China's foreign policy. China is willing to join hands with Mongolia to bring into full play the newly-forged comprehensive strategic partnership between the two countries, President Xi Jinping says. "(I) hope the Mongolian State Great Hural will support the cooperation between the two countries and provide a transparent, stable and favorable legal environment for the cooperation," said Xi. China and Mongolia on Thursday gave a strong boost to bilateral ties by upgrading their diplomatic relationship to a comprehensive strategic partnership and setting a target of expanding two-way trade to 10 billion US dollars by 2020. Chinese President Xi Jinping and his Mongolian counterpart, Tsakhiagiin Elbegdorj, signed a joint declaration Thursday to upgrade bilateral ties to a comprehensive strategic partnership. 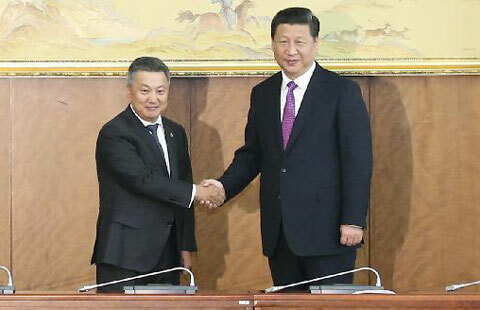 China hopes to promote cooperation with Mongolia in rail and road connectivity and mineral resources development, says Chinese President Xi Jinping. President Xi Jinping heads off on a historic visit to Mongolia on Thursday, who is expected to sign deals that will bring the two countries closer. President Xi Jinping leaves on a two-day state visit to Mongolia on Thursday in the latest effort by Beijing to enhance its ties with surrounding countries. 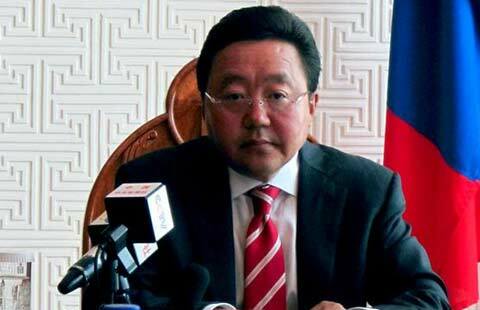 Mongolian President Tsakhiagiin Elbegdorj said that his country is ready to further promote its strategic partnership with China. 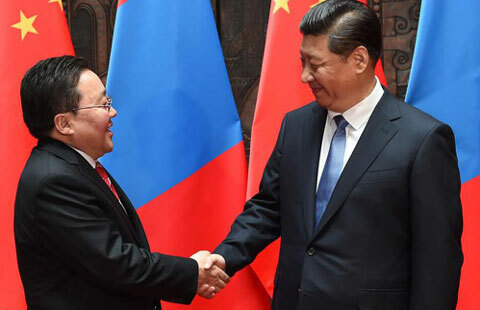 A number of key agreements are expected to be signed during President Xi Jinping's upcoming visit to Mongolia, which will signify the upgrading of the two neighboring countries' relationship, Mongolian President Tsakhiagiin Elbegdorj said. 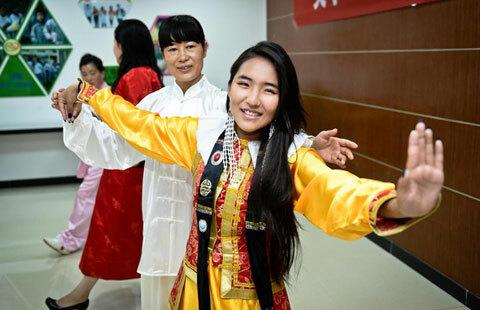 Xi's visit will further promote the all-round cooperation between China and Mongolia, further optimize China's surrounding environment, and actively practice the "closeness, sincerity, sharing in prosperity, and inclusiveness" of China's neighborhood diplomacy.